Even though there isn’t a lot of vine acreage here, this North-Central Washington region is growing into a showcase of quality and advancements. I’VE BEEN TASTING the wines from North-Central Washington for more than a decade, and have looked at the winemaking around Wenatchee, Leavenworth and Lake Chelan as an emerging region. With next year’s 20th anniversary of vines planted there, and my tastings of the wines over the past five years, it’s time to rethink the region. The quality coming from the region branded as Cascade Valley Wine Country demands our respect. There’s a long history of winemaking there, with the first two wineries in state history opening in East Wenatchee and Wenatchee in 1874 and 1875. 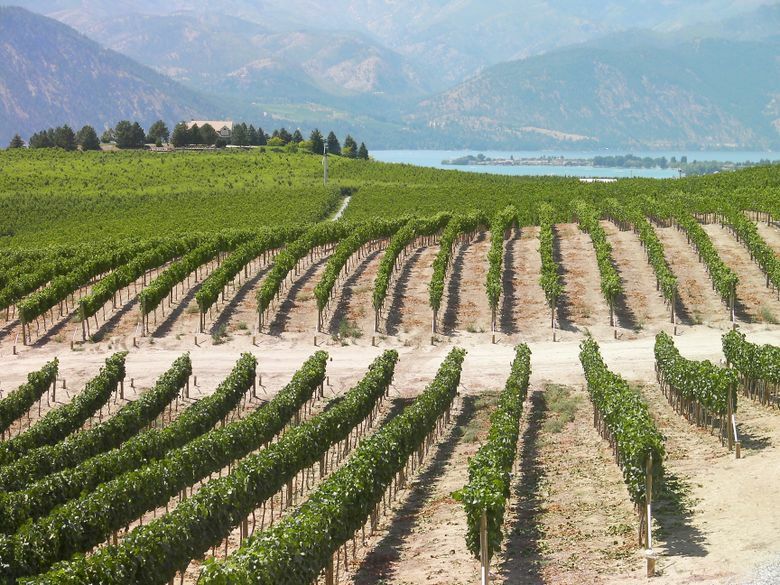 Grape-growing around Lake Chelan dates to the 1890s, though apples and cherries eventually became the dominant agricultural activity along the shores of the country’s third-deepest lake (after Crater and Tahoe). Here are three wines to try from Cascade Valley Wine Country. Ask for them at your favorite wine merchant, or order directly from the winery. Tsillan Cellars 2015 estate reserve syrah, Lake Chelan, $36: A spicy, delicious and classic Washington syrah from estate grapes on the south shore of Lake Chelan, this opens with aromas of mocha, chai spices and espresso, followed by flavors of ripe plum, Bing cherry and dark chocolate. Plain Cellars 2015 petite sirah, Yakima Valley, $35: One of the best petite sirahs being crafted in the Northwest is this stout red from this small producer in the Chelan County town of Plain. It opens with classic aromas of new leather, plum sauce and spicy oak, followed by rich flavors of cherry pipe tobacco, blackberry cobbler, black licorice and black tea. It’s all backed by sturdy, yet harmonious tannins. Jones of Washington 2016 riesling, Ancient Lakes of Columbia Valley, $10: Among the best rieslings made year after year in Washington, here is a classy wine at a great price. Opening with aromas of minerality, lime zest, green apple, apricot and white peach, this reveals just the barest hint of balancing sweetness. Waning interest in Red Delicious apples led farmers to try wine grapes in 1998, with good results. By the time the federal government established the region as the state’s 11th American Viticultural Area, at least 250 acres were planted. Wineries soon followed, as winemakers recognized the tourist draw of the lake as a reason to open tasting rooms. Dozens followed, in Wenatchee, Cashmere, Leavenworth and other communities. That has led to an increase in quality, showcasing more winemaking education and skills, the maturity of vines, advancements in vineyard management, site selection and harvest decisions. With limited acres of vines in the region, most winemakers seek fruit elsewhere. It’s not unusual to see Columbia Valley, Yakima Valley, Red Mountain or even Walla Walla Valley on labels. The warm Wahluke Slope and cooler Ancient Lakes are more common, thanks to their relative proximity. As a winery produces wines of increasing quality, winemakers find higher-quality grapes.